Provided by PLACE STARS (http://www.placestars.com). 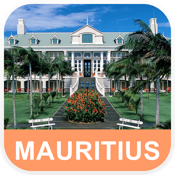 Easy to use Mauritius vector offline map for your mobile device. - NO MOBILE ROAMING CHARGES: Offline map - means no online connection and no internet roaming – no payments for using maps. Application stores maps on SD flash card or internal memory of your mobile device and uses them every time you start it, so it works without internet.